I am a big fan of Chinese food. 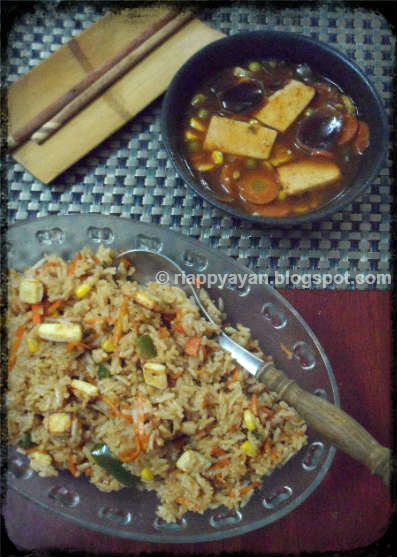 One such day when I was highly craving for some Chinese food, made this combo of Sweet n sour Vegetable with some Chinese style Fried rice.The fried rice recipe is already in my blog. 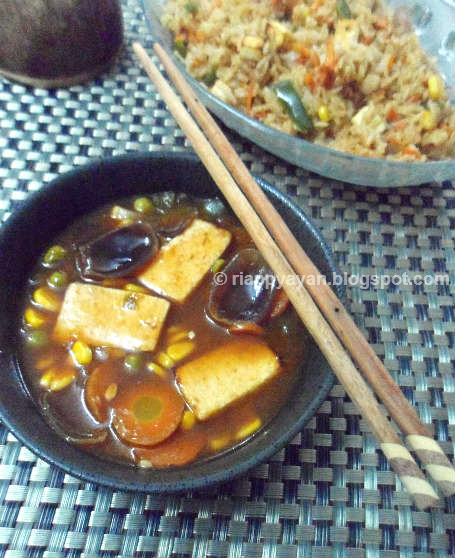 So today sharing this sweet n sour vegetable recipe, which goes very well together, in fact this is my most favorite combo. White vinegar : 1 tblsp. Rinse, peel and chop the vegetables first. Cut onions in quarter and separate the layers. Heat oil in a pan. Fry the paneer or tofu pieces in low flame till they are lightly brown. Remove and keep aside. In the same oil, add chopped ginger and garlic and stir fry for 1 minute. Then add onions, carrot, capsicum and corn. Stir fry in medium heat for 4-5 minutes. 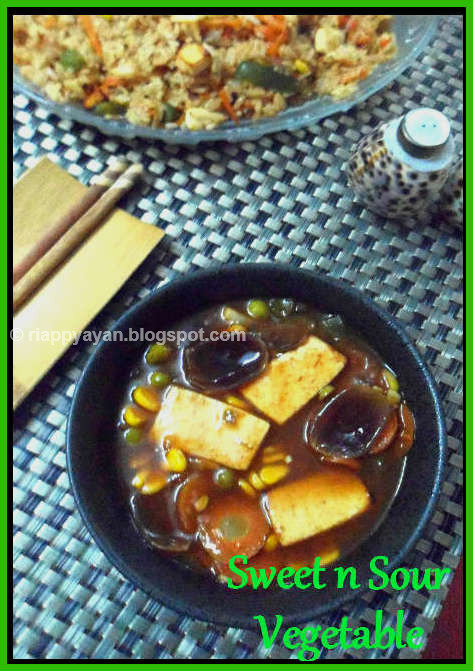 Then mix soy sauce and tomato sauce in a bowl and add this mixture of two sauces into the pan. Stir, mix and season with salt, sugar and black pepper. Now add 2 cups of water or vegetable stock. Add the fried paneer or tofu pieces now. Cover and let the veges cook. Do not overcook them, they should retain their shapes and crunchiness. Dissolve the corn starch well in 1/2 cup of water and pour over the pan when the vegetables are half cooked. When vegetables are done and the sauce has thickened according to your liking, add vinegar and stir through. Remove from heat and serve immediately. Enjoy with Fried rice or plain boiled rice or noodles. 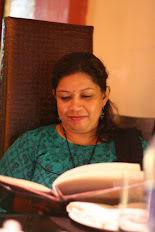 I am hosting an event this month. Please link your mushroom recipes. Thanks.